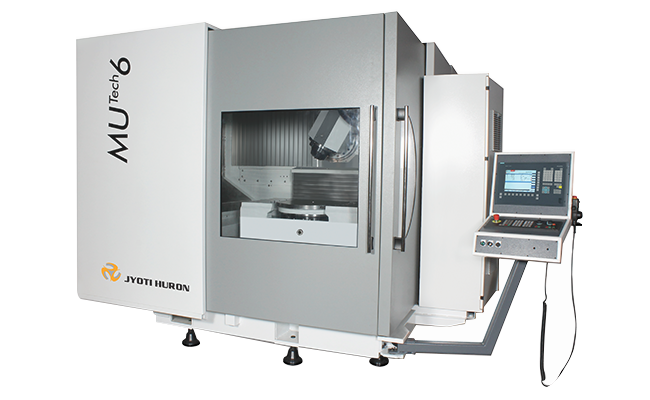 MuTech 6 - Jyoti CNC Automation Ltd. | cnc machine, cnc lathe, vmc machine, hmc machine, cnc turning center, cnc milling machine, cnc machining center, cnc vertical machining center, cnc, vmc, hmc. This series of machine offers a one stop solution of versatile milling operations with geometrical accuracies with high speed & power. 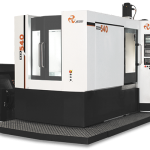 Thus with this versatile machining features, large & complex 5-Axis components can be machined in shortest cycle time with highest accuracies & minimum set-ups. 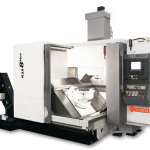 This compact Universal Machining Centre comes with standard- equipped with 5-Axis, high speed electro-spindle, combination of which offers higher universal productive with excellent dynamics in all 5-Axis. All structures are made of heavily ribbed cast iron ensuring high level of machining stability & excellent damping capacity offering a rapid of 30 m/min. Fixed table on Z axis traverse. Swiveling Head (+30° / -120°). Suitable for turbine blade machining. Arm type faster ATC Placed outside of Working Area.